Owls are opportunistic hunters and will eat any rodents, insects, small mammals or other owls. Owls have a high metabolism rate that requires them to eat up to 50 percent of their body weight on a daily basis. 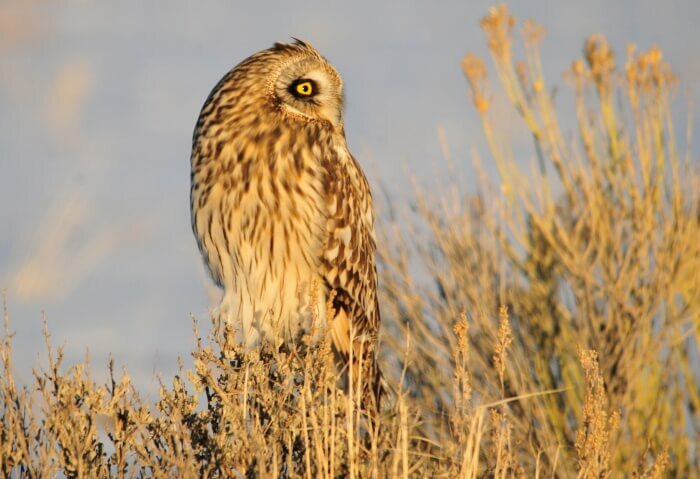 Owls eat small mammals, other birds and rodents, although a few species do eat fish. Owls are not scavenger eaters and will not eat the dead remains or carcass of an animal. They cannot chew their food and generally eat both the edible and inedible parts of an animal whole. Large owls often hunt prey that is their size or larger, such as foxes or raccoons. If the animal is too large to swallow whole, an owl will pick it apart.